Editor’s note: this article originally appeared on the Foreign Policy Association website. There have been at least two odd scenes in Beirut over the last couple of weeks. The first was a soccer game played by MPs which was supposed to demonstrate cross-sectarian cooperation, and the second was a fairly large march & rally whose participants called for a more secular Lebanon. Both events reflect the sentiment of a Lebanese public that has grown weary with institutionalized sectarianism and all that is has to offer. The soccer match was played in an empty Beirut stadium, which is closed off to the fans out of fear of violence between the various groups of fans (Sunni, Shia, etc). The scene was probably less symbolic of cross-sectarian teamwork than it was of just how far Lebanon is from being “post-sect” in the same way that the US is supposedly (but not really at all) “post-race”. Playing a soccer game in an empty stadium will probably be just as effective as electing a minority as President of the United States was in terms of getting people to forget their historical differences. The difference between the two is that electing Barak Obama was not a shallow, political PR stunt, but at least the soccer match indicated that the people in government are hearing what a growing number of Lebanese are calling for: a Lebanon free from state sanctioned sectarianism. The secularist rally this past Sunday was more genuine. The event was organized using (increasingly valuable) social networking websites, and what was originally expected to be a gathering of a few hundred people mushroomed into a crowd of thousands with the help of some beautiful weather. The large turnout and diversity of the group was shocking to many, including the organizers. The protesters called for the end of sectarianism and the beginning of secularism. But what exactly this means, as well as how the change would occur, and what the future implications were, was less clear. One of the major demands was the start of civil unions.Though Lebanon is perceived as more modern and liberal (read: Western) than many of its neighbors, people are still required to marry in their mosque or church, depending on what sect they are registered to. Cross-sectarian marriage is not possible in this system, so some couples are forced to travel to neighboring countries (Cypress, for example) to get married. There are at least seventeen recognized religious sects in Lebanon, with the Shia, Sunni, Maronite Christians, and Druze make up the lion’s share. Over the years, the country has managed to develop a tenuous balance between the groups, but periodic bouts of inter-sectarian violence have ranged from worrisome to devastating. As a result, the state has institutionalized the notion that every group must be represented and have their say, no matter how stifling to progress, lest there be more violence. Today, there is a system in place that allocates parliamentary seats between the groups and distributes the various government offices between the sects. The president must be a Maronite, the Prime Minister a Sunni, the speaker a Shiite, and so on. This pattern extends to the business world, with companies adhering to set quotas. As mentioned, one’s sect is printed right on their ID card (although just recently the option of striking your sectarian designation from the ID has been allowed). The system permeates nearly all levels of life in Lebanon. When I was living in Beirut, my roommate (a Lebanese student at the AUB) would indicate every person’s sect that he brought over to the apartment. While he may have been seemingly overly conscious of sect, it did not seem to matter too much to him. Perhaps this is indicative of the modern greater Lebanese condition: everyone might be conscious of sect, but it’s questionable how much it matters on a person-to-person level. And while this may be the case today, it has not always been this way. In the 1970’s tensions between the sects were starting to heat up as the power sharing system at the time no longer reflected the true demographics of Lebanon. At a time where Muslims outnumbered Christians because of differing birthrates, parliamentary seats were split between Christians and Muslims 6:5, respectively. Due the explosiveness of the issue, an official census has not been taken in Lebanon since 1932. This condition led to frustration among the people who felt underrepresented in what was supposed to be a democracy, and led to fear in those that did not want to lose power. The arrival of the PLO eventually set the country ablaze in 1975, leading to fifteen years of civil war at a cost of over 150,000 lives and immeasurable economic damage. So when people talk about ending sectarianism in Lebanon, the notion must not be simply deemed correct for this particular situation because of the prevailing notion in the West that the separation of church (or mosque) and state is a good thing. For the West it is a good thing, but it might not be in every case. In a perfect world, state and religion would not mix, but it should be considered that perhaps sectarianism is the glue that holds Lebanon together at the moment. Over time, Lebanon should absolutely work towards this goal of ending institutionalized sectarianism by shifting towards a meritocracy and eliminating sectarian quotas from business and government. But right now, Lebanon is not ready. Lebanon had a very strong year in 2009, when inter-regional political breakthroughs led to stability (or vice versa), which in turn led to significant economic advances. But one good year does not mean that Lebanon is ready to take the training-wheels off. Right now and however poorly, sectarianism works in that it is a large contributing factor to stability. 6:5 was the rule until the country couldn’t take it anymore. A civil war was fought and it went to 1:1 to more accurately reflect the modern demographics. Then the Shia started asserting themselves as the largest sectarian block and they got veto power in the president’s cabinet. The point is that there is a system in place that can be tinkered with to assuage anxieties. What would happen if that system were abolished today? As much as sectarianism is an instrument for stagnation, it is also an instrument of stability. While some may argue that it accentuates the differences between the sects, the consensus-based system also ensures that every voice is heard. The Lebanese must ask themselves, one, do they believe sectarianism adds to or decreases stability, and two, what price are they willing to pay to see an end to it. Currently, there are just too many factors that could contribute to instability in Lebanon without changing the entire system of government. 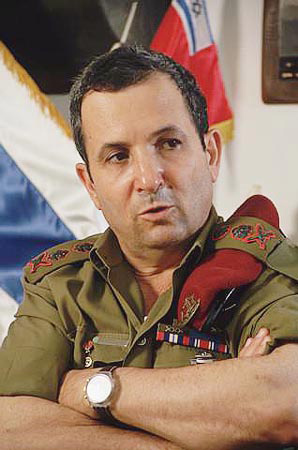 The real and constant threat of attack from Israel, the presence of a well-armed sub-state organization in Hizballah, the presence of 400,000 frustrated and disenfranchised Palestinian refugees, the constant meddling and creeping influence of Syria…any one of these could be enough to destabilize Lebanon, but all four are here at the surface at all times. Perhaps sectarianism is the rusty ship that is carrying Lebanon through these troubled waters. Another question to ask is how the secularists will convince those in power (even the ones playing in cross-sectarian soccer games) to give up the source of that power. As written in Time Magazine, “Changing Lebanon’s sectarian system, however, would require that a political class led mostly by sectarian warlords and their families dismantle the very source of their power.” While they may be willing to participate in transparent PR team building exercises, getting them to abandon the very system that keeps them in power could prove to be difficult. The good news is that perhaps when they are ready, Lebanon will be ready too. Today, there is no reason why two people shouldn’t be able to get married by an appointed government official in a civil ceremony, and not in a mosque or church or in Cypress. Also, there is no reason why a Lebanese mother shouldn’t be able to transfer citizenship to her children. (Having your religious sect printed right on your ID card is downright creepy.) These are positive steps that Lebanon should have taken long ago. But taking religion completely out of politics is different and would require much more time, planning, consensus, cooperation, and sensitivity. Lebanon certainly isn’t ready for it this week or this year, but it is a goal worth working towards in the future. A peaceful and stable post-sect Lebanon would be a good example for the Middle East and the world in general. After the fall of Saddam Hussein, the United States found itself battling a tough and stubborn Shiite insurgency. This resistance was led by a young militant named Muqtada al-Sadr, and before long, Middle East analysts and scholars began drawing comparisons to another Shiite resistance leader, Hizballah’s Hassan Nasrallah. Before the US-led invasion of 2003, the Shia of Iraq were what the Shia of Lebanon were 25 years ago: the poor and disenfranchised underclass. The Shia had always made up a significant portion of the population in Lebanon, but the country was dominated by Sunnis and Christians, and the Shia were politically and economically marginalized as a result. Under Saddam Hussein, the Shia of Iraq had it much worse. There, they made up the majority of the population, and were feared by the Sunni Baathist minority who rule Iraq with an iron fist. As a result, the Shia were marginalized and oppressed, and any hint of rebellion was met with swift and brutal violence. As a side note, this is how the Shia have historically existed: marginalized and oppressed under Sunni regimes that mostly viewed them as heretics, or at least threats to their power. The only country where the Shia were the dominant majority was (and still is) Persia . Only recently have the Shia began to climb out of the social-economic pit that they were buried in for so long. During the Civil War in Lebanon, the Shia there began to assert themselves more and more. (This equality-seeking attitude dates back to the 1960’s when Sayyed Musa Sadr returned from religious study in Najaf, Iraq and began preaching a Shiite resurgence.) After the invasion of Israel in 1982, Hizballah was formed with the assistance of the Iranian Revolutionary Guard Corps (IRGC). During the war with Israel, a charismatic and intelligent young man named Hassan Nasrallah quickly proved his skills fighting on the battlefield, and organizing in the villages. Nasrallah became Secretary General of the organization in 1992 after his mentor, Abbas Mussawi, was killed by the Israeli Defense Force (IDF). Muqtada al-Sadr took a different path to get where he is today, as head of the Mehdi Army in Iraq. He came from a highly prominent Shiite family, but was reportedly not originally considered to be much of a warrior. After the Iran-Iraq War, Muqtada’s father, Grand Ayatollah Mohammed Sadiq al-Sadr, a hero amongst Iraqi Shia, continued to lead the political development of his people. When he was killed in 1999, a 26 year-old Muqtada took over as leader of the movement. Outside of Iraq, Muqtada remained an unknown until 2003, when he led the Mehdi Army against the invading Western nations. Today, Muqtada al-Sadr is a respected hero in his own right, amongst his people. With Nasrallah and Sadr both rising from obscurity to give Western (US) or Western-backed (Israel) fighting forces of superior resources and firepower massive headaches, it is natural to compare the two. This is useful because by studying the evolution of Hizballah and its leader, perhaps we can extrapolate what the Mehdi Army might look like and be capable of in the coming years, and this could give analysts a better picture of what to expect from Iraq over that same time period. Starting at the beginning, Hassan Nasrallah was born in 1960 and is about 50 years old today. Muqtada al-Sadr was born in 1973, which makes him about 37. Nasrallah is 13 years older than Sadr. They both have the title of Sayyed which means that they are recognized as descendants of the Prophet Mohammed. Nasrallah came from a family uninvolved in politics, religion, and war. His father was a vegetable vendor with no influence or connections, and everything that Nasrallah has he had to earn himself. He wanted to study religion from a young age. His potential was quickly recognized, and he was sent to Najaf to continue his studies under Abbas Mussawi, one of the founders of Hizballah. As mentioned, after Mussawi’s death in1992, Nasrallah was chosen by his peers to lead Hizballah. Muqtada had a more direct path to power. His father was a Grand Ayatollah and a hero to the Iraqi Shia. His father-in-law also held the rank of Grand Ayatollah and is highly respected in Iraq. Muqtada’s father and two brothers were killed in 1999 by Saddam’s security forces, who left Muqtada alone at the time because he was thought to be somewhat dim-witted. But Muqtada had been underestimated, and he would eventually go on to lead the Mehdi Army. Both the Mehdi Army and Hizballah receive considerable patronage from Iran. Iran helped form Hizballah in the early 1980’s during Israel’s occupation of Lebanon. Along with Syria, Iran directs large amounts of weapons and cash to Hizballah in an effort to blunt Israeli aggression. Iran uses a similar strategy in Iraq, where the Islamic Republic assists Sadr and his militia in order to give the US-led coalition forces a significant amount of resistance so that the United States doesn’t train its sights on Iran next. Iran actually backed two horses in this race: the Sadrists, and also the Supreme Islamic Iraqi Council (SIIC). The SIIC is led by Sayyed Ammar Hakim, of the powerful Hakim clan. The leaders of the SIIC fled to Iran during the Iran-Iraq War, and plotted their return with the help of the Islamic Republic. Iran supported this group, but it also hedged its bets and backed the Sadrists as well, presumably because they were worried that those leaders, who had fled during what was a time of incredible suffering for most Iraqi Shia, might be resented upon their return*. It proved to be a shrewd move by Iran. The SIIC did face some resentment by their brothers that stayed behind, but they also came back to strong support as well. As a result of Iran betting on both horses so-to-speak, they now wield considerable influence in the new Iraqi government that is dominated by the Shia. *During the Iran-Iraq War from 1980 to 1988, many Iraqi Shia, especially those with the means to do so, fled to Iran. The rivalry between Amal and Hizballah is similar to the rivalry between the Sadrists and the SIIC. Amal was founded in 1975 by the forefather of the historic Shia resurgence, Imam Musa Sadr (a distant cousin of Muqtada). Syria, Lebanon’s neighbor, supported Amal as a way to gain leverage against Israel after it lost the Golan Heights in the 1967 War. In 1982, Hizballah was founded by Amal members (with the help of IRGC advisers) who wished to take a less secular and more Islamist approach. The two militias experienced a violent sibling rivalry as they fought for control of Beirut, but eventually the two made peace and today they cooperate regularly. Whether it be Lebanon or Iraq, all four groups (Hizballah, Amal, the Sadrists, SIIC) preach nationalism and all are backed or assisted by foreign entities, and it’s unclear just how much influence those governments have over their so-called proxies. Hizballah often claims publicly that it’s guided by Iran, but it is questionable whether it would sacrifice itself for the sake of Iran. It’s conceivable that Iran has significant influence with the SIIC, as Iran gave the group refuge during the latter Saddam years and helped it prepare the group for its return to power. The Sadrist are the biggest question mark. Muqtada Sadr is reportedly currently living in the Shiite holy city of Qom, Iran, studying to increase his religious rank, and therefore his leadership credentials. He may or may not be actively meeting with the IRGC during this time. Another thing to consider is that even though their fellow Shia were suffering terribly under Saddam, Iran did relatively little to aid them during these years after the Iran-Iraq War and before the US invasion. This must have been frustrating to the Sadrist, and it’s doubtful they would have forgotten it. In summation, Hassan Nasrallah has no real rival in Lebanon amongst his fellow Shia, and Muqtada Sadr has a capable and powerful rival in Ammar Hokim. The battle between Amal and Hizballah has run its course and Hizballah has come out on top. But the rivalry between Hakim and Sadr is still very much in play, and the outcome is not so clear. The SIIC tends to represent the more influential and wealthy Iraqi Shia, but the Sadrists represent the poor and hungry, who are far stronger in number. In his article on this very topic, Syrian Middle East political analyst Sami Moubayed itemizes the differences and similarities between the two men. He states that, while Nasrallah and Sadr come from very different backgrounds, their main difference is in their charisma and projection of influence. Moubayed writes that Sadr may be respected in Iraq, but he and his personality are virtually unknown outside the country, whereas Nasrallah, through Hizballah’s far reaching Al-Manar television station, is broadcast all over the world. At least weekly, Nasrallah’s fiery speeches are televised throughout the Arab world and beyond as he lays into Israel and the United States and gives the Arabs, who have become so disillusioned with defeat and incompetent leadership, a powerful, energetic, and capable champion who espouses their values and vents their frustration for them. Muqtada Sadr has none of that, and whether this is by strategy or by circumstance, his influence is that much less because of it. While Nasrallah operates on the world stage and Sadr operates underground in the shadows, something that the two have in common is that they are both highly respected Shia leaders that are irreplaceable to their movements. In Moubayed’s article, he grades the two men, giving Nasrallah an “A+” and Sadr a “D-“. This may be an accurate assessment in the absolute terms of the present day, but let’s not forget that Nasrallah is 13 years older than Sadr. If we look at where Hizballah was as an organization 13 years ago, it’s probably not all that different to where the Sadrists are today. This is impressive considering the difference in political climate that the two were operating in, with Lebanon being far more open to Shiite political development than Iraq, where everything had to be organized in secret using only whispers. Also, many have criticized Sadr’s Mehdi Army as being a bunch of uneducated thugs who only joined the militia for personal gain. While this may have been true at first, the Mehdi Army is believed to be currently undergoing a process of purging those who are not pious, religious, and dedicated to the party. If this is the case, we could see a far more refined and disciplined fighting force and political party in a few years once they have weeded out the unscrupulous bad seeds. Hizballah may be the more mature of the two organizations, but the Sadrists have time to catch up and are in a good position to do so vis-a-vis the Shiite dominance of Iraq going forward. Today, Sadr is believed to be polishing his religious credentials, and while he won’t make the rank of Ayatollah, he might learn just enough to be a respected military, political, and religious leader in Iraq. Hassan Nasrallah may be very powerful in Lebanon, but the position of the Shia in the sectarian demographic breakdown of the population inherently limits his power there. Muqtada Sadr faces no such challenge in Iraq, where the Shia dominate the Sunni and the Kurds, so his power ceiling is higher than that of Nasrallah. 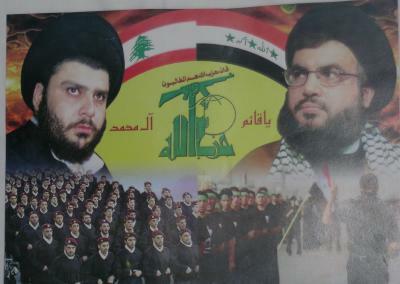 In Lebanon and Iraq, Hassan Nasrallah and Muqtada Sadr are heavyweights, and it’s interesting to study them both to see what we can learn from their similarities and differences. The Shia revolution that started under Musa Sadr in 1960 and exploded in Iran in 1979 continues to this day, and these two men are right in the middle of it, at the forefront of history. During the Iran-Iraq War (1980 to 1988), many Iraqi Shia, especially those with the means to do so, fled to Iran. Saudi Arabia, in cooperation with the Yemeni government, is waging a quiet and fierce war against Shia tribesmen located near their shared border in the Saada region of northwest Yemen. Tensions have been building for months, but the conflict erupted after two Saudi border guards were allegedly murdered by Yemeni Houthis in a cross-border raid in the remote region of southwestern Saudi Arabia. Since then the Saudi air force has been pounding Houthi rebel sites across the border in Yemen. The rebels have criticized the Yemeni government for allowing Saudi Arabia to violate Yemen’s territorial sovereignty, but the government likely welcomes the help from the Saudis as it struggles to gain the upper hand in the situation. As a result of the bombardments, thousands of Yemeni citizens from the region have been displaced and are now caught between the Yemeni Army, the Houthi rebels, and the Saudi air force in a conflict with a high potential for escalation. The Houthis are part of Yemen’s Shia, which make up about 40% of that countries total population. The rebels accuse the government of sectarianism, while the Yemeni government considers the conflict political in nature. While the Houthi rebels are clashing with the Yemeni military, and Saudi officials claim that they are only trying to keep the conflict from spilling over onto Saudi soil. The Saudi-based Al-Sharq Al-Awsat has reported that nearly 1000 Houthi rebels have been taken prisoner by the Saudi military. For years the conflict had been between the rebels and the Yemeni government, but recently the escalation of violence has led to Saudi involvement, with Iran and even Al-Quaida being dragged into the mix. As a result, the conflict has taken a more regional tone, with both Iranian and Saudi governments trading barbs. The Saudi’s accuse Iran of aiding the Houthis in a way to gain a foothold in another country that is politically dominated by Sunni, such as it did in Iraq and Lebanon. Tehran has denied aiding the rebels, but has expressed concerned for the safety of the Shia in that country. This week, protests erupted in Tehran in support of the Houthis, as hundreds of students reportedly rallied in front of the Saudi and Yemeni embassies there. Relations between Iran and Saudi Arabia have been particularly frosty in recent years, as Riyadh grows increasingly weary of expanding Persian influence in the region. With the decision of Mahmoud Abbas not to seek reelction and the apparent dissolution of the Palestinian Authority, the situation is entering a new phase. What awaits: passive acceptance, or third intifada? Saudi Arabia, in cooperation with the Yemeni government, is waging a quiet and fierce war against Shiaa tribesmen located near their shared border. Tensions have been building for months, but the conflict erupted after a Saudi policeman was murdered by Yemeni Houthis in a cross-border raid in the remote region of southern Saudi Arabia.